Private investigators carry out secret enquiries and play an important role for their clients to find out information and check facts. Their clients include the legal profession, councils and insurance companies and can also include private companies and individuals. This work must be carried out with the highest degree of confidentiality, prudence and professionalism. The private investigator must be relied upon to maintain an ethical perspective without sacrificing performance or quality. 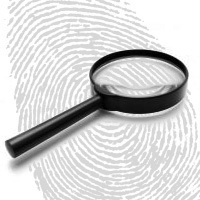 A private investigator's work range from personal issues, for example divorce, to company issues, like suspected theft. They often do background research, which may involve asking questions and analysing information. The work may also include, surveillance, fraud investigation, tracing missing people or pets, handing legal documents to people, investigating commercial piracy and background checks on employees. Many private investigators spend time away from their offices conducting interviews or doing surveillance in the field, but some work in their office most of the day conducting computer searches and making phone calls. When the private investigators are working on a case, the environment might range from plush boardrooms to seedy bars. Private investigators often work irregular hours because of the need to conduct surveillance and contact people who are not available during normal working hours. Early morning, evening, weekend, and holiday work is common. Regulations are in place where private investigators are require to have completed recognised training and are licenced before operating as an investigator. Private Investigators in Australia must be licensed by the licensing authority relevant to the State they are located in. This applies to all States except the Australian Capital Territory. Companies offering investigation services must also hold a business licence as well as all operators holding an individual licence. Generally the licences are administered and regulated by the State Police, however in some states this can also be managed by other government agencies. Investigators must remain in compliance with local and federal laws ensuring that all evidence acquired during those investigations can and is admissible in a court of law. Often times, private investigators have worked in an enforcement or investigative role before working in this field, for example, in the police or armed forces. The skills, interests and qualities a private investigator must have are: good spoken and written communication skills, excellent observational skills, strong analytical skills, self-confidence to present information in court, basic computer skills, a knowledge of the law, honesty and integrity, the ability to work independently, a logical approach to the work, patience and perseverance and empathy with clients who may be distressed. For the most comprehensive information so you can make the best possible informed decisions regarding investigative services contact the professionals at Seca Investigations.